Gorgeous 2 bed, 2.5 bath condo just blocks from the historic Santa Fe Plaza. 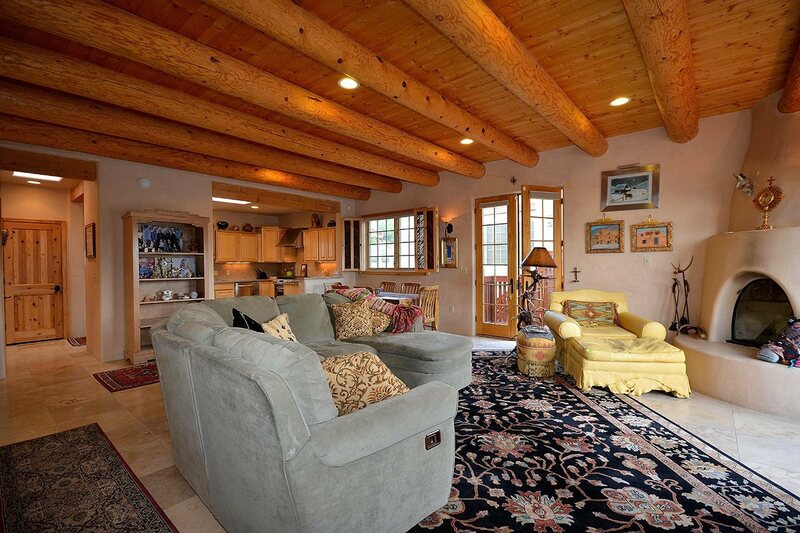 You&apos;ll find all the Santa Fe finishes one would expect - plaster walls, vigas, kiva fireplace, mountain views and more. The bedrooms and 2 bathrooms are downstairs with the one car garage and one car carport. Upstairs is a great room with a large deck over the garage spaces facing the Sangre de Cristo mountains. A/C, custom cabinets and hardware, granite and custom shutters. Directions To Property: Paseo De Peralta To Griffin, To Rio Greande, Right To The Top Of The Hill.